Taronites • View topic - Sketch #000008 - "Outer space"
Sketch #000008 - "Outer space"
TOPIC of TODAY: "Outer space"
The original topic suggestion was "aliens and spaceship" by Zeropainter, but I think anything "spacey" or "sci-fi" would be appropriate. Also, sorry for any delay - I'll be helping to moderate these and also want to say thanks to everyone for participating. 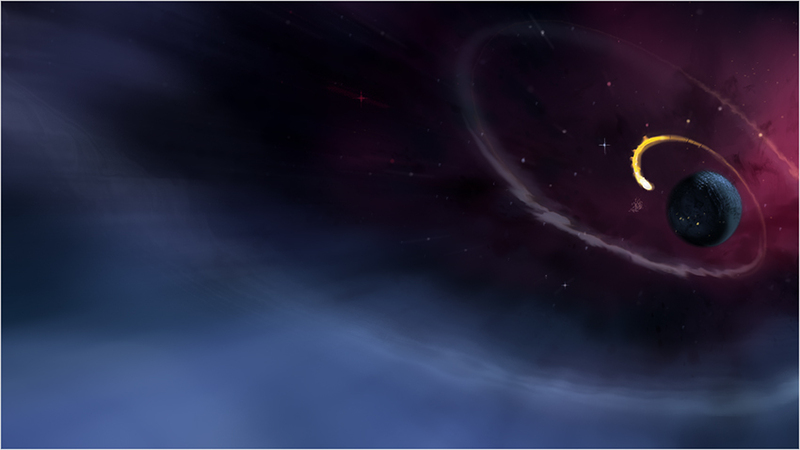 Re: Sketch #000008 - "Outer space"
Uh, nice...thanks for doing that, V! Neat topic... on comes the perspective grid!!! Hoooh...I think with the new drawing powers it could be really interesting. Didn't even think of that until now! Borhani, honestly. Come on, you have to be a known artist somehow. If not, then you should most certainly be! Your work has such bizarre maturity, such presence. It's something rich people should want to hang on their walls as like some prestige objects, while everyone would enjoy to have one of yours hanging in their living rooms, of course. Short: I TOTALLY LOVE IT!!! - almost entirely brush #9 with a few sprinkled stars using brush #3, some erasing with brush #2 and a single stroke with brush #8. Indeed an stunning composition Borhani the colors sure are very pleasant. To go black and white was a great decision, as well. Came together very nicely for sure! i always enjoy to hear a little how thigs developed, too ... Some technique, motive, what brushes where used ect. Very true, the existence of #9 now freed #2 up to be set up as an erazer, i do that as well, lately. Ahahaha, that would've totally made it a hotdog, hm?! I dunno...just went by the seat of my pants, so to say. THANKS, though, glad you liked it! I looked at it again and didn't like the tube sticking out the side...felt squished. So I noodled for a few more minutes. Fun, though! bottom layer is the background, which is just some smudges along the perspective grid lines to continue the sensation of depth. The next layer is the planet's darkness. The third layer is additive and provides stars and most lights. The top layer is the space ship. Most of the lighting/shading of the space ship is actually just erased parts of the bottom layer! borhani59, that brought an instant smile to my face. Love it! Taron, that looks really cool, I like the grayscale. * Added a quick "radial blur" in photoshop. "UFO-4 Space Pirates, the stolen Eiffel Tower"
Person in space can hear you! VirtueOne, I really dig your colors and composition! Great depth! Zero, that's hilarious and cute! Should've been an "i o u" on the map, hahaha!